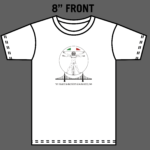 The Leonardo da Vinci Society, in collaboration with the Italian Cultural Institute, will hold the second of a cycle of conferences celebrating Italian scientists who have made unique and stellar contributions to the world at large and have left their imprint in the San Francisco Bay Area. 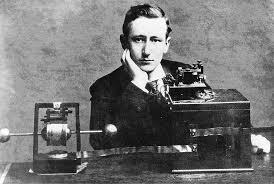 Guglielmo Marconi (1874-1937), inventor of wireless communications, is the first Italian scientist to be celebrated. Paola Tonelli, Cultural Chair of the Leonardo da Vinci, will speak about Marconi, one of the most influential figures in the history of modern technology. Marconi’s presence in the Bay Area was marked by the construction of powerful Pacific Coast stations in Bolinas and Marshall in 1914, to connect his round-the-world services across the Pacific. After WWI the Radio Corporation of America obtained the sites and commercial maritime radio services continued until 1997. Today these historic stations are part of Point Reyes National Seashore in partnership with the Maritime Radio Historical Society. Marco Pavone and Fabrizio Capobianco, two brilliant young Italian scientists will join us and describe their work and their achievements, both in Italy and in the Bay Area. Marco Pavone’s areas of expertise lie in the fields of controls and robotics. He is Assistant Professor of Aeronautics and Astronautics at Stanford University, where he also holds other appointments, besides being a Research Affiliate at the NASA Jet Propulsion Laboratory (JPL), California Institute of Technology. Fabrizio Capobianco, a software engineering expert, is an Italian serial entrepreneur based in Silicon Valley. He is the founder and CEO of the sports social network TOK.tv and he also serves as President and Chairman of Funambol, a white-label “personal cloud” provider. The Leonardo da Vinci Society is organizing a field trip to the Marconi Convention Center in Tomales. Hal Russek, General Manager of the Marconi Center, will guide us thorough the exhibition that presents a 100-year look at the development of wireless radio technology still widely used today and will highlight historic events, including families and individuals whose lives were entwined with these endeavors. Lunch (optional) will follow the visit. The visit is limited to 20 people!